← Vox Day wrote lyrics for an early-nineties industrial dance band. They’re just awful. “Celebrate” Equal Pay Day with this busted Men’s Rights meme! This isn’t the busted meme, by the way. The meme is below. 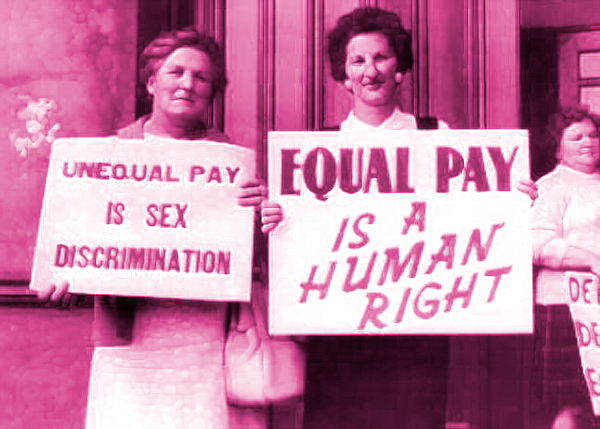 Today is Equal Pay Day, a well-intentioned if imperfect faux holiday based on the notion that women have to work roughly a year and three-and-a-half months in order to make as much money as men make in a year. The wage gap is a little — actually, a lot — more complicated than that. Only a portion of the gap is the result of straight-up discrimination; much of the rest is the result of women’s choices. Well, their “choices.” I’ve put that word in scare quotes because many of these “choices” are the result of living in a still-sexist society in which women, among other things, are expected to do the bulk of the child-rearing, an expectation that has enormous consequences for the careers and earning power of both women and men. In the Washington Post, Catherine Rampell goes through some of these complications; I took a whack at the subject myself a few years ago on Time.com. Among MRAs, of course, the conventional wisdom is that the wage gap is a “myth,” a conclusion that one can reach only by misinterpreting or deliberately distorting the numerous studies that have been undertaken on the subject. Or, as is probably more common, by simply regurgitating the “arguments” of other MRAs. This brings us to today’s busted meme, courtesy of the A Voice for Men meme factory. At first this meme seems merely baffling. Is this gal, all covered in muck, supposed to be a female coal miner, or something? No. She’s supposed to be a zombie representing the “myth” of equal pay for equal work — “[t]he myth that just won’t die,” as whoever posted this to AVFM’s Facebook put it. In other words, they’ve got their own propaganda backwards. The MRA line is that it’s the wage gap that’s the myth, not the idea that men and women receive equal pay. In the real world, it’s the other way around: the wage gap is real; women, on average, don’t get equal pay for equal work. By labeling their own belief — that men and women do get equal pay for equal work — a myth, they’re accidentally arguing the feminist case. And now I’ve given myself a bit of a headache. That won’t surprise me very much.